For use with any required *ATF’s! Protects new seals and permanently restores older seals to a "like-new" condition, without adverse side effects. LUBEGARD Fuel System Booster is a state-of-the-art new fuel additive made with the highest quality premium PEA and FLA technologies. It is the first product of its kind able to specifically address and treat the newer DIG (direct injection) fuel systems in addition to the traditional intake-port delivery systems of today. LUBEGARD Fuel System Booster is the first 3-in-1 product that provides a total system clean-up and keep-clean, fuel lubricity additive, and fuel stabilizer. 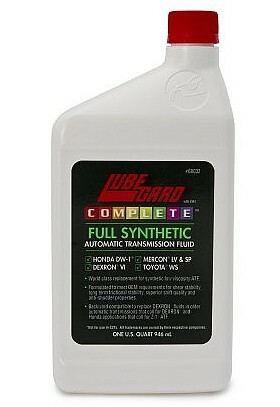 LUBEGARD GEAR FLUID SUPPLEMENT is designed for use in all manual transmissions, transaxles and final drives that require gear oil. LUBEGARD contains LXE, (liquid wax esters) and their derivatives, a blend of high grade petroleum oil, synthetic base oils and a complete anti-wear formula. LUBEGARD is designed to provide high temperature stability to prevent harmful deposits on synchros and gears. LUBEGARD’s CVT FLUID meets the performance requirements and specifications of ANY belt type continuously variable transmission . The added patented LXE Technology imparts superior oxidation stability to this CVT fluid as well. 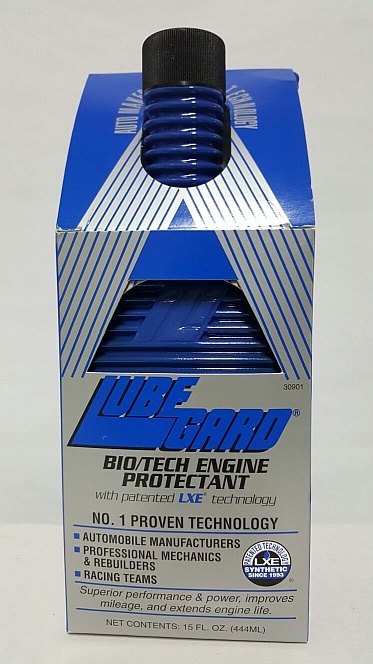 LUBEGARD COMPLETE Full Synthetic ATF is a world-class lubricant formulated for outstanding performance and efficiency in meeting or exceeding OEM requirements for reduced viscosity. LUBEGARD's unique, proprietary LXE® Technology provides superior wear protection with improved frictional and shear stability (high film strength for the life of the fluid). This unique technology prevents and eliminates torque converter shudder, improves shift quality, and imparts excellent torque carrying capacity for long clutch and component life. LXE Technology is seal and o-ring friendly, ideal for new, older, and higher-mileage vehicles. 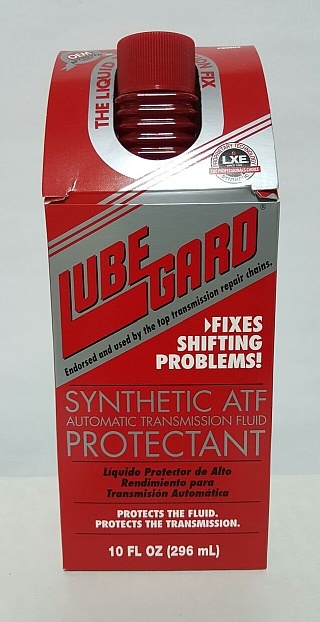 LUBEGARD COMPLETE Full Synthetic ATF is recommended for all automatic transmissions that require a fully formulated low viscosity ATF with exceptional performance and uncompromising protection. It is engineered to meet or exceed OEM requirements where lower viscosity is required. This product descriptions & informational material belongs to Lubegard. This is a direct information extract from Lubegard website. For more information, please go to Lubegard, the manufacturer's website. All Lubegard trademarks & copyright material belongs to International Lubricants, Inc. The manufacturer of Lubegard products.